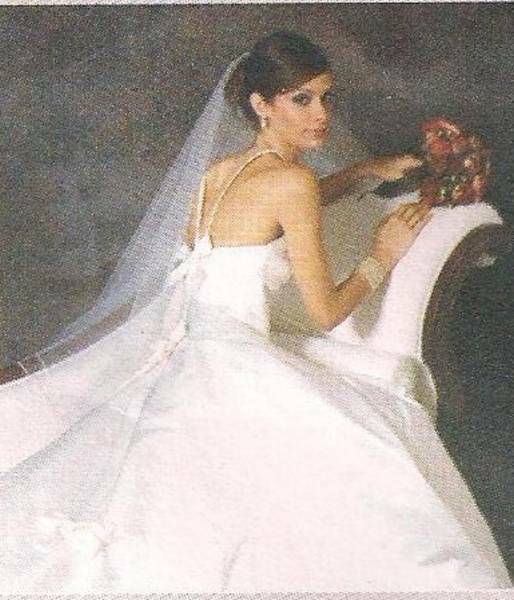 Lined dress, floor length, has shoulder straps, close-fitting, interfaced, boned, bodice with dropped waist and princess seams. Flared, pleated skirt, with side panels and no side side seams. Ruffles attached to lining for petticoat and bias bows/back zipper. Pattern is uncut, complete an in original folds. Envelope has a small torn off area to upper front right corner.